Brian, K2AS here. 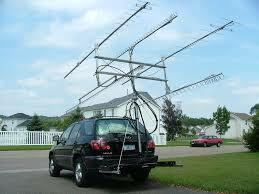 I'm involved with the XRX Amateur Radio Club in Webster, NY area, and W2XRX 145.29 repeater in Canadice, NY. We have been Fusion for almost 2 years, but only a handful of semi-regulars, and a few occasional digital users. We had a few Fusion nets a over a year ago, but they kind of fell by the wayside. Sadly, many members get on FM rarely, and don't want to buy a new radio. I'm trying to drum up some more activity, and was going to start monthly (for now) Fusion nets. We have Wires-X capability with an RF link at my QTH. So even if others can't access W2XRX, we will have the net on Wires-X. The purpose would be to discuss Fusion news, tips, etc. I think it would be great to expand across CNY/WNY and try to utilize Wires-X. We don't have any other linking methods on W2XRX - no external controller. 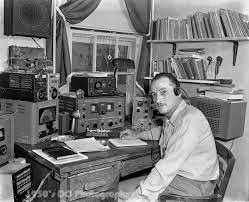 I've contacted WN8Z, but would like to post on Upstate Ham as well. Maybe some Fusion folks in Buffalo will see it. This was initially just intended to be local, but decided why not spread the word. So the date/time was something I came up with, but anything can be up for discussion.